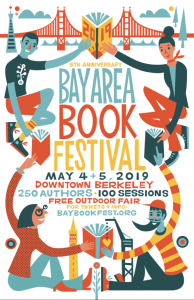 This year we are sharing a tent with our literary partner Mechanics’ Institute, so stop by and say hello to Taryn Edwards and Barbara Santos. COMMUNITY OPPORTUNITY: If you are available either day for any amount of time we’d love to have you in the booth! You can even bring your book to display while you are there. Contact [email protected].